Happy National Cheese Day! In honor of one of the best days of the year, I wanted to share with you one of our favorite burgers. 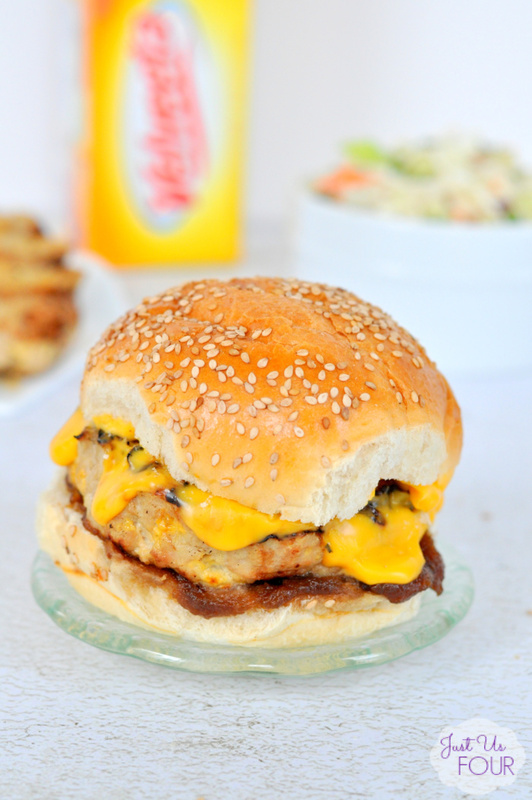 While I always like a good beef burger, right now, I am totally in love with this chicken apple burger. It is so good, especially when topped with a slice of melted VELVEETA®. Grilled Sticky Chicken is the perfect dish for your #BackyardBash! This sticky chicken recipe is simple to make but packed full of flavor! Grilled Sticky Chicken is made up of a marinade of brown sugar, soy sauce, garlic, and soda! Everyone will be wanting seconds and maybe even thirds!! Grilling season is here! From burgers to fruit, we are all about using our grill as much as possible during the nice weather! On top of grilling pretty much all of our meals, we also use the warm weather and beautiful evenings to get together with friends on the deck. 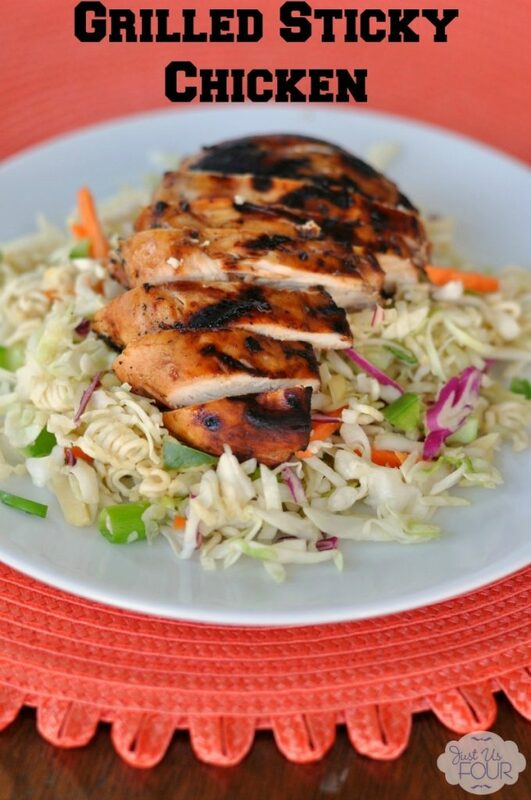 Chicken is one of my favorite things to cook on the grill and, recently, I decided to add one of our #BackyardBash drinks into the marinade for some grilled sticky chicken.